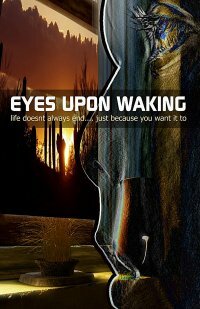 Your upcoming film Eyes Upon Waking - in a few words, what is it about? Eyes Upon Waking is about struggle, it�s about empathy and it�s about hope. 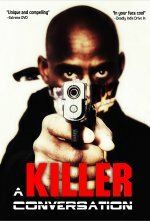 The main character, Taren, faces psychological issues that push her to extreme measures. The film explores the process of Taren facing the darkness within her in the aftermath of two suicide attempts. What was it that initially drew you to the story, and to what extent can you identify with it? A few aspects drew me to the project. Jennifer Scott�s [Jennifer Scott interview - click here] passion for the project is infectious and after speaking with her about the project, I immediately knew I wanted to be a part of its success. The struggle against depression drew me to the project, as well. As someone who has battled depression through creativity, it was easy to find common ground with the film�s content. The script handles depression and darkness in a very raw and truthful manner while being very entertaining. How did you first get involved with the project, and what can you tell us about your producer/writer/star Jennifer Scott [Jennifer Scott interview - click here], and what is your collaboration like - especially considering this is Jennifer's passion project? I have kept up with Jennifer�s work over the past few years. When I saw she had a new script that she was producing, I immediately reached out. We are both extremely passionate about making films and our visions for the project were in alignment from our very first meeting. It is an easy collaboration. Jennifer is very open and honest with herself and her vision. Anything you can tell us about your projected cast yet, and what will these people bring to the table? Right now, I can�t say too much about the projected cast. I am very much looking forward to directing Jennifer in her performance as Taren. The script is very personal to her and the emotions are very real. Other than that, I can only say that I am very excited to be working with such a talented team. How do you plan to approach your story from a directorial point of view, and what can you tell us about the intended look and feel of your movie? I am very visual and I like to approach each project from this perspective. The film largely takes place in one location and we are developing a look that will compliment the complicated emotional process that Taren goes through in the narrative. I am focused on the raw honesty of the performances. The script deals with topics that are rarely dealt with in the mainstream with such stark honesty. I want to push against some of the taboo of talking openly about depression and suicide. Of course, a movie like this relies heavily on locations - anything you can tell us on that front yet? Jennifer�s input and perspective are invaluable on this front. As a producer, she is skilled at getting exactly what is needed for the project. The fact that the film is based on her experiences ensures that our locations will be authentic and honest. Right now, we have locations in L.A. and Arizona. As far as I know, the film is still in pre-production - so what can you tell us about the actual schedule, and any idea when the movie might be released onto the general public? We are gearing up to shoot the first 6 pages in mid-April. We will use this footage to help get our final funding for the feature. Ideally, we would like to go into full-production in November of this year with it heading to festivals in early 2015. According to my information, as we speak you have two ofther films in post-production, A Standing Still and Intertwine - so you obviously have to talk about those! 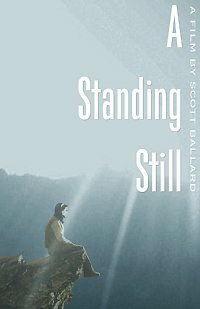 A Standing Still is my second feature film as writer/director. It will be released to festivals this fall. I am very excited about this project � I feel like it is the most honest piece of filmmaking I have completed to date. We shot at various locations around Oregon and Washington State. The film follows a woman who works at a Fire Lookout in a National Forest. She is called back early to deal with some family issues and has to face the dynamics that has led her to live a fairly secluded life. We shot the film in Super 16mm, 35mm and HD. Intertwine is a television pilot created by Dylan Lawrence. We wrapped up in January of this year. 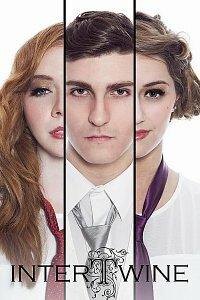 It is an exciting and fresh drama starring some extremely talented Portland actors. The producers are currently shopping it around in Los Angeles. What got you into filmmaking in the first place, and how did you actually learn your trade? From a very early age I enjoyed photography and I have been writing for many years. When I first got into filmmaking, I was working in Seattle as a graphic designer. I did design work for a local film center and in return, I was able to take a few classes. I remember the first time I heard Super 16mm film running through the camera and I have dedicated myself to cinema since that moment. It combines all of the great loves in my life: Photography, writing, music, design. I taught myself how to shoot Super 16mm and eventually bought a digital camera. I made my own short films for several years and worked on large budget projects in New Orleans. These experiences expanded my knowledge of the camera department and the process as a whole. I attended Boston University�s Graduate Film Production Program and since then I have been living in Portland working as a filmmaker. What can you tell us about your filmwork prior to Eyes Upon Waking? Eyes Upon Waking will be the third feature I will have directed. In the past 4 years, I have been heavily involved in 7 feature films, as well as several short films and documentaries. I have had the great fortune of meeting and working with several talented filmmakers. Any future projects beyond Eyes Upon Waking you'd like to share? I have several projects that I am currently involved with, including my third feature as writer/director that I will be filming this fall. The film, Death On A Rock, wraps up three films that I have made exploring death and dying. I work with a very close team in Portland and have promised them the next film will be more uplifting! 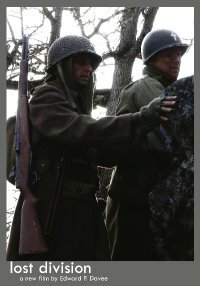 I am finishing up Lost Division, a WWII feature for which I am the director of photography and helping to produce for director Edward Davee. It follows a WWII chaplain as he faces the severe requirements of his job and the war. I just finished Brian Padian�s, The Black Sea, for which I was a producer and the director of photography. This drama will be ready for festivals in early 2014. 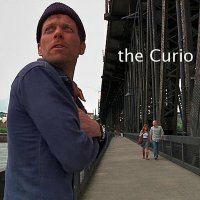 I recently finished shooting the feature film, The Curio for director Dicky Dahl. It is an interesting slice of life tale that mixes personal documentary footage with the fictionalized narrative. 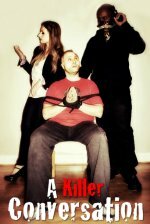 In early 2014, there will be four Portland-based features released to festivals that I have either shot, produced, directed or some mix thereof. Along with the directors I just mentioned, I have formed a collective of Portland independent filmmakers called Great Notion. It is an exciting time to be producing films in Portland, but I also am enjoying working in Los Angeles and on the East Coast. Besides directing, you have also worked as a cinematographer on quite a few movies by other directors - so what can you tell us about Scott Ballard, the cinematographer, and your visual style? I really enjoy cinematography and working with light. It is a pleasure for me to focus in on the image and I feel that I need both directing and cinematography in my life to be fulfilled with a career in cinema. One of the most exciting things about cinematography is discussing and discovering the look and visual style of each project. 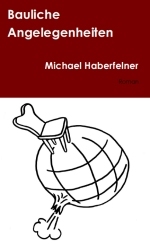 Each script, each story requires it�s own visual feel. Working with the director to discover that feel � discover how the camera can help tell the story, to help expand its potential without distracting attention from the narrative, is always exciting. I am trained in both film and HD and enjoy using both. As a cinematographer (and as a filmmaker, in general), I like to have several tools to be able to tell the story. Choosing a shooting format that is right for the script is one of those tools. The choice of camera, the choice of film or HD is, for me, a very valuable part of the process of discovering the visual style and look that each script demands. For me, directing is principally about two things: Interpreting the script and communication. As a director, the most important thing for me is to have clear communication with my cast and crew. In life, I am a patient and attentive listener. I apply this to my directing style, from casting through production. I feel I need to listen to the script, the characters and then be able to help facilitate the translation of the script with the actors. By listening to people, I can learn how to more concisely communicate my directing to those with whom I work. In my experience, the most productive sets and the most successful projects occur when the ego is left at the door. I like to dedicate myself entirely to the story�s needs. I am very much inspired by 1970�s American cinema and foreign cinema. Bob Rafelson, Ingmar Bergman, Michelangelo Antonioni, Yasujiro Ozu and Aki Kaurism�ki are all big influences for me. So many! 5 Easy Pieces, The Passenger, The Prophet, Hunger, Notorious, My Life as a Dog � these are all favorites that I have re-watched recently. I don�t want to incriminate myself! I will just say that the films I love and enjoy are honest. Honest in their approach, their content, their reasons, as long as there is honesty in the film I cannot fault it too much. I really wan to express my thankfulness to everyone who is supporting me in my filmmaking career. I want to thank the talented team of people that I work with and all those who support truly independent film and filmmakers!